In the taxi I felt quite bad, until I noticed the driver falling asleep and then the adrenalin made me feel super focused. I had a flashback to my taxi ride from hell between Jalandhar and Noida. We made it to the airport in one piece. 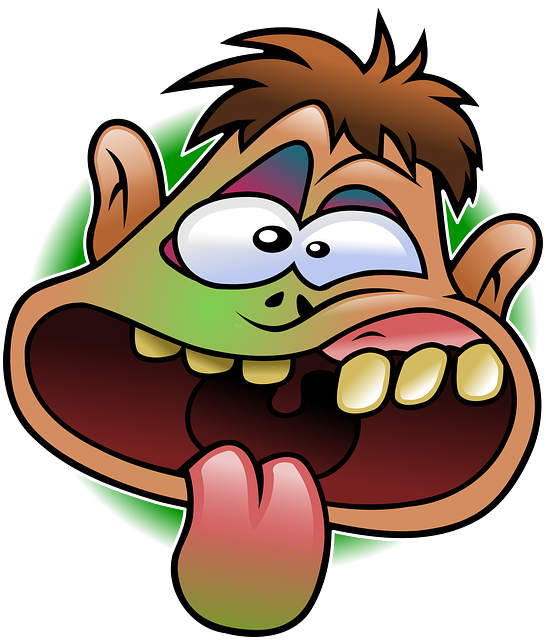 Once the adrenalin subsided I felt terrible again. The flight was really short and easy, but I started to feel like I was going to puke once we had landed. I was stopping in a different hotel to the others, but I piggy-backed on their ride, which was a big car with great aircon, which made me feel much better. By the time we got to their hotel I was feeling quite good. I walked down the road to my hotel and went to bed at 08:30. Once I had some sleep I was feeling good, so I logged in to work to for the afternoon shift (UK time). 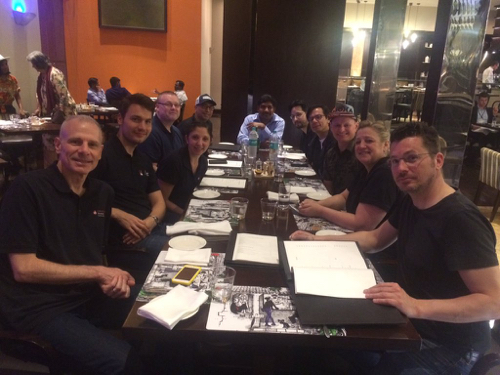 I have to “work from home (from India)” for a few days before the Oracle Code : Bengaluru event. See you there! PS. On a strange note, my room number in the new hotel is the same as in the previous hotel. Freaky! 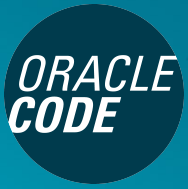 Today was Oracle Code : Hyderabad. 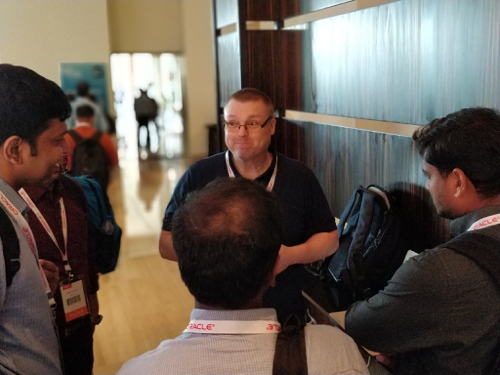 After my session I spent a lot of time chatting to people and continuing the discussion of Oracle Databases on Docker, which filtered into lunch. 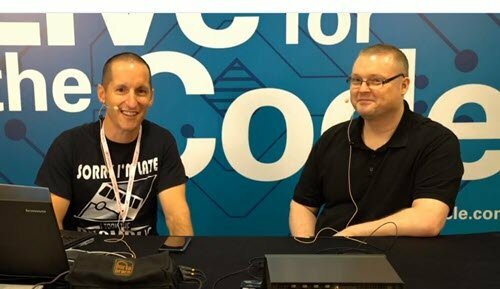 After lunch I did a periscope live stream with Connor McDonald chatting about a variety of things including my website, presenting and Oracle databases on Docker. From there is was back to the developer lounge to look at the demos. One of the guys doing the IoT demos was a machine. He was so enthusiastic and went all day. The developer lounge is also a good way to connect with more people. Some people are quite intimidated about asking a question in the session, but they will happily come up to you in private and ask. I always like this bit of the conference. Overall I think the event went really well. The turnout was great and people were really enthusiastic and open. Thanks everyone, especially those folks that came to speak to me during the day. It makes the events even more fun for me. I got a taxi to the station, grabbed a coffee and got on the train. I had a seat with a table and a power socket. For £5 I got 24 hours of internet, which made the journey far more productive. 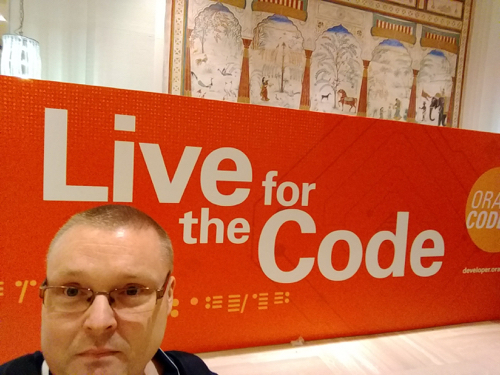 When I got to Euston Station it was a quick tube ride to Moorgate Station, then a walk round the corner to CodeNode London. After registration and a few quick hellos it was down to business. 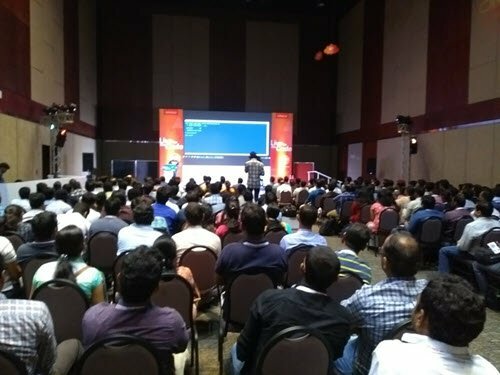 After that session the conference was split into multiple tracks and I went to see Jeff Richmond with “Move Data Between Apache Hadoop and Oracle Database for Customer 360 Analytics”. 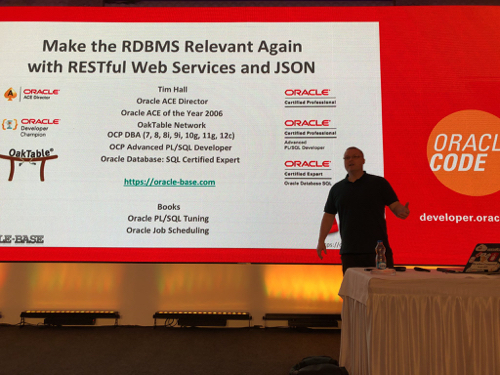 This session covered quite a bit of ground in a single session, including talk of Oracle Big Data SQL and a bunch of Oracle Cloud Services. Next I went to see Davide Fiorentino with “A Practical Guide to Docker and Service Deployments”. 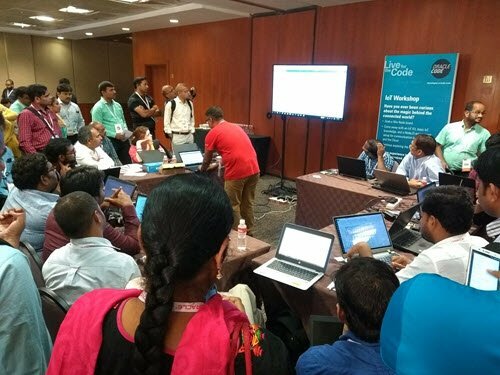 As the name suggests, this was an overview session about Docker, giving an idea of how and why you would use it. Next up was Dan Mcghan with “Making RESTful Web Services the Easy Way with Node.js”. This was how the cool kids do what I do with PL/SQL and ORDS. 🙂 The combination of Node.js and the Oracle Driver for Node seems like a pretty good combo for this type of thing. The journey was pretty straight forward. Round the corner to Moorgate, tube to Euston, train to Birmingham and taxi home! Happy days!